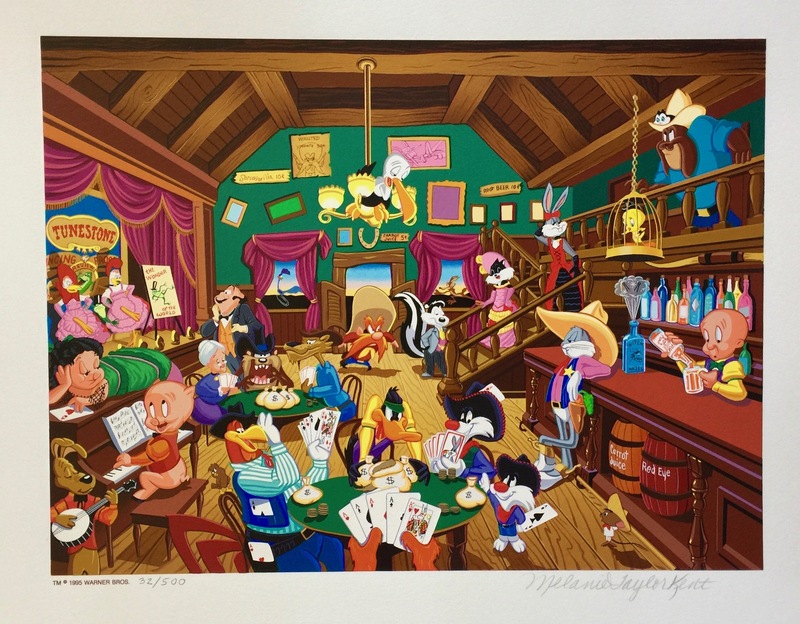 This is a 1995 limited edition original hand signed serigraph by Melanie Taylor Kent titled “COURTUNE” from the Looney Tunes Western Suite. Medium: This piece contains more than 100 colors, was hand proofed and hand printed on heavy, acid free archival paper. 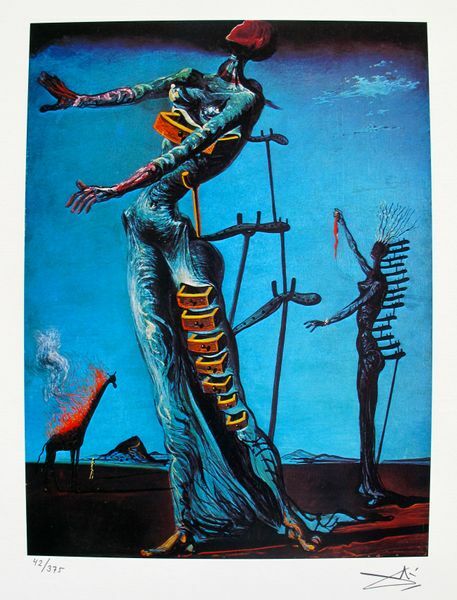 All screens created for this serigraph were destroyed after completion of editioning. Hand Signed and Numbered by the Melanie Taylor Kent. Numbered from an edition of 500. Paper Size: 12″ x 16″. Mint condition. Comes with a certificate of authenticity. Melanie Taylor Kent is one of the most treasured and collected painters living and painting today. In just a few years she has achieved recognition as “the artist of famous celebrations, streets, and landmarks of America”. She combines her art talent and love of history with a whimsical imagination to produce images of brilliant and vivid colors, yet informative because of Melanie’s attention to detail and quest for authenticity. 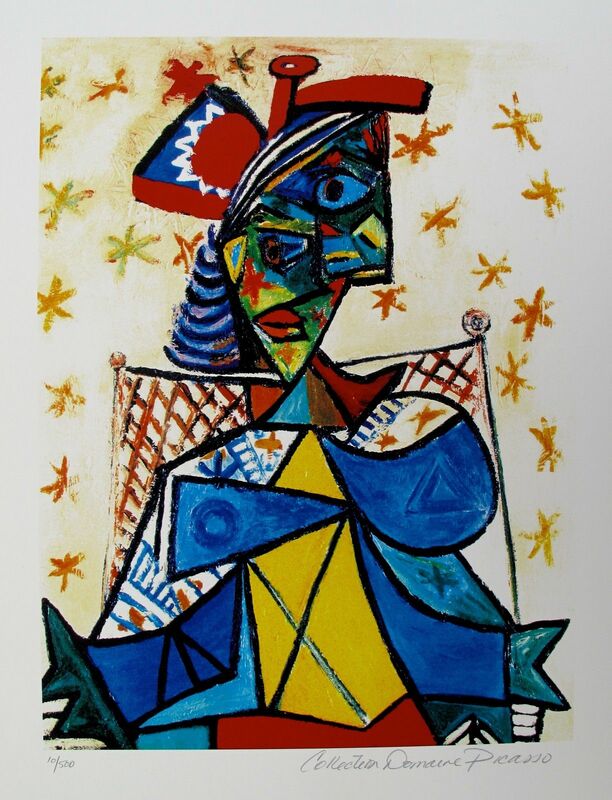 Melanie’s serigraphs are noted for the famous personalities that delight and challenge collectors to identify them. Melanie was the first artist to be licensed by the Walt Disney Company to portray Disney theme parks in limited edition prints. Melanie has been selected as the official artist of the LA Dodgers and the 30th anniversary of Dodger Stadium. Melanie was selected as the official artist of the 50th anniversary of “The Wizard of Oz”, the 15th anniversary of “Star Wars” and the 10th anniversary of Steven Spielberg’s “E.T.”. Melanie’s depiction of the 1984 Olympics, “Let the Games Begin”, was licensed by the US Olympic Committee. Most of Kent’s limited edition works are done as serigraphs, utilizing as many as 200 separate color plates and heavy,acid free archival papers. The production values complement these terrific works, which are collected worldwide. 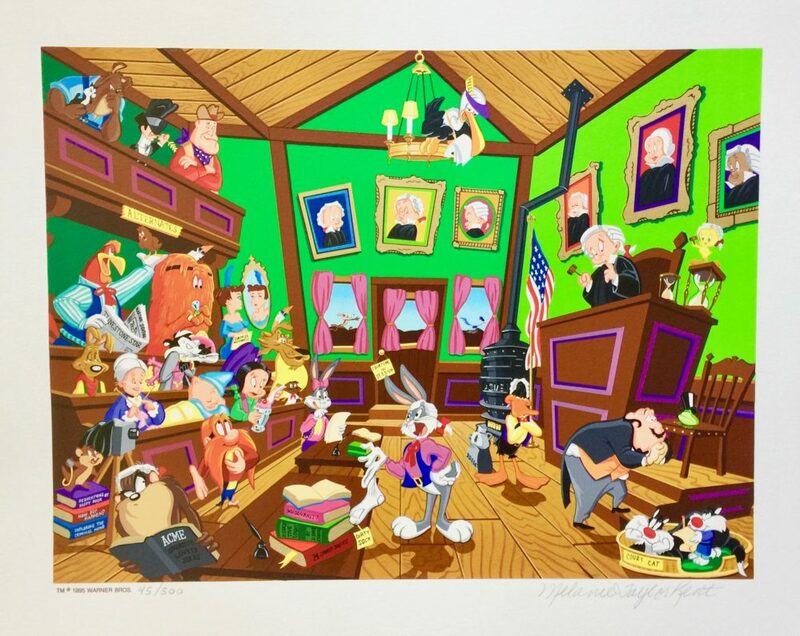 Be the first to review “Melanie Taylor Kent LOONEY TUNES COURTUNE Hand Signed Limited Edition Serigraph” Click here to cancel reply.